Mij is als belastingsbetaler en daarmee mini-medefinancier van de publieke omroep niets gevraagd. Ik hoor enkel met regelmaat het woord “commissie” en wil dan niet onthouden welke van de honderden commissies uit regentenland het nu precies is geweest die besloten heeft om een aantal vertrouwde opinie makende televisieprogramma’s op te heffen. Technisch gesproken staat enig vorm van volksraadpleging niets in de weg, zoals minister Eurlings van Verkeer en de Algemene Bond van Weggebruikers afgelopen week nog bewezen hebben, maar dan gaat het om de heilige koe de auto, een apparaat waarmee je nog een beetje zelf kunt bepalen welk merk je kiest en wanneer je waar naar toe rijd. Vreemd genoeg is er bij het product “publieke omroep” wel een mogelijkheid om door het lidmaatschap van een omroepvereniging je “eigen merk” te kiezen, maar de besturing van dit amusement- en meningsvorming-voertuig is geheel in handen van commissies en commissarissen, die zonder enige vorm van democratische inmenging aangesteld zijn. Gelijk aan de autoindustrie worden de eens naar ratio van ledenaantal enigszins onafhankelijke omroepen, nu door commissarissen gedwongen sommige van hun ‘merkartikelen’ af te schaffen of ze samen te voegen. ‘De jure’ hebben we dan geen staatsomroep, ‘de facto’ wel. Zo staat nu binnenkort het opnieprogramma NOVA bij het vuilnis. Bij koop en verkoop van dag- en weekbladen zijn er meestal nog actieve journalisten die terecht niet schromen om hun ‘eigen’ medium te gebruiken om aandacht te vragen voor hun speciale verbindtenis met hun nieuws- en opnieproduct (zoals laatst bij de overname van NRC/Handelsblad). Bij de publieke omroep komt zo’n debat nauwelijks voor en lijkt het ideaal van journalistieke openheid bij voorbaat gesmoord te worden in de burelen van de media-commissarissen in Hilversum en de ministeries in Den Haag. Want waar blijft dan die speciale aflevering van NOVA waarin een wakkere Clairy Polak gedreven blijft doorvragen over het dictaat van het media-commissariaat? 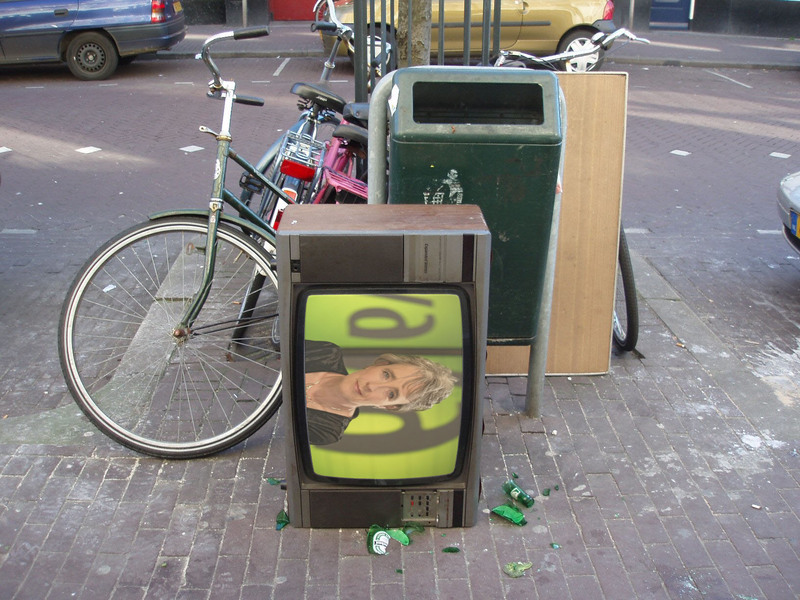 In een al ver verleden waren er nog roerige ledenvergaderingen van de omroepen als het programmabeleid een andere wending nam, of luisteraars en kijkers zich tegen een bepaalde uitzending keerden, of die juist ondersteunden. Een dergelijke betrokkenheid schijnt met de overbebossing van het medialandschap teloor gegaan te zijn: we zien door de bomen het bos niet meer en vragen niet meer om wie nu precies de kapvergunning afgegeven heeft. Webblogs en mogelijkheden voor web-site-reacties van lezers en kijkers lijken daarvoor in de plaats gekomen te zijn, maar anders dan bij een ledenvergadering van een omroep, valt met al die persoonlijke meningen niets mee te beslissen en blijft de media-consument onmondig. Is de tijd rijp voor nieuwe vormen van journalistiek en opinievorming waarbij het symbolisch passieve publiek van de meningvormende programma’s en praatshows, zich actief kan mengen in het debat van de dag, waardoor er een dusdanige sterke band tussen journalist en actief publiek ontstaat dat de media-commissaris bij het huisvuil gezet kan worden? Earlier in 1989 the iron curtain – however rusty – was still in place, the great divide between Western and Eastern Europe. Block-thinking was predominant: First World (capitalist), Second World (socialist) and Third World (poor and revolting). A long curving line from the Baltic Sea to the Mediterranean split Europe, separated it physical in two opposing political systems. Europe was a plural word at that time. The geographical Europe as could be found in atlases and maps reaching till the Urals, and two socio-political Europes: Western Europe and Eastern Europe. Culturally speaking, that what was East of that fenced line was considered by the Westsiders NOT even part of their idea of Europe (something like the actual perception of Turkey as something that should not be part of the EEC). In the end all this bickering over meaning of pseudo geographic entities has long be understood by the United Nations personnel as can be read in a report of the UN commission on toponymic issues that had to make an assessment for “A Subdivision of Europe into Larger Regions by Cultural Criteria” and concluded: “every assessment of spatial identities is essentially a social and cultural construct.” The report – using shady diplomatic language – comes up with the conclusion that the notion of “East Europe” based on the Russian Empire from the 16th to the 20th century and the Soviet period from 1917 to 1992 and its sphere of influence is over now and the traditional idea of “Central Europe” can once more be established. I can not find the promised maps of this commission and when one does only a quick check anybody can see that more than one mapping of the idea of Central Europe exists. Four of more possible visions of Central Europe: 1- the mid 20th century German idea of "Mitteleuropa"; 2- Central Europe map first shown in the Wikipedia page on this subject; 3- Central Europe as seen by some Croatian source; 4- idem recent Czech view of Central Europe. 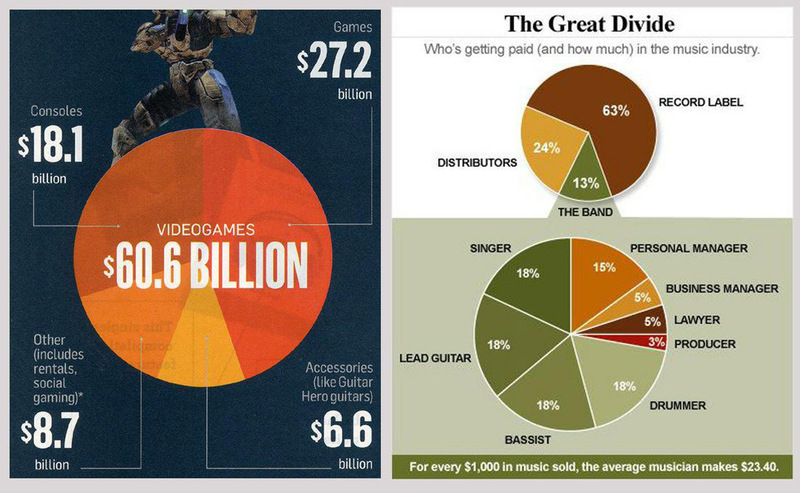 As always views of the world, be it macro or micro are centric. I did learn that already as a boy in primary school when my teacher explained that for the Danes our (Dutch) "North Sea" was the "West Sea." Click images for full size view and - for most browsers - click once more to enlarge and use bottom scroll bar to move along. 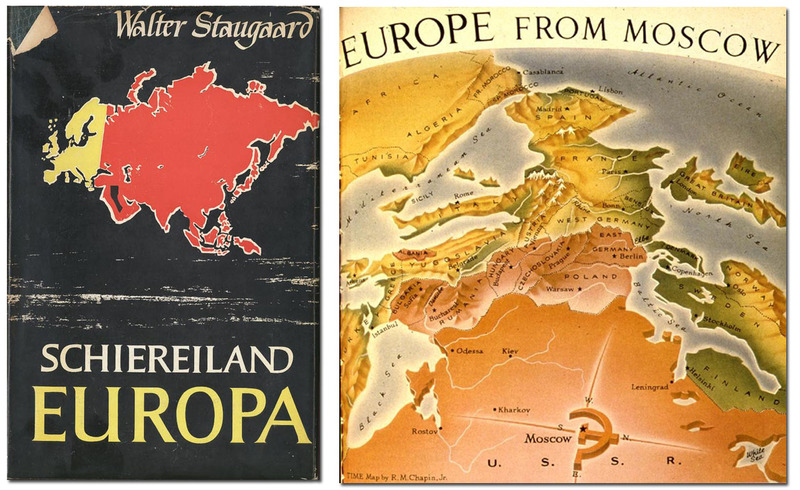 Typical Cold War cartographic demagogy: left the 'red danger' from a cover of a Dutch translation of a West German book published in 1958: "Peninsula Europe"; right a neo Mongol view from 1952 published in Time magazine maps, by cartographer Robert M. Chapin. Those who looked beyond this Cold War imago knew that the rule and control in each of the countries – messed together in the notion of ‘Eastern Europe’ – had its own particularities, its own time line of periods of openness and repression. Those who were knowledgeable had observed that – in each country in a different way and at different moments – in certain official recognized cultural areas some forms of less restricted activities and expressions were possible, like jazz festivals, cinema and theatre experiments, international scientific meetings, certain publishing activities, and cultural centers managed by youth associations or students. Those from “the West” who went through the curtain and made the effort to go beyond the controlled itineraries could also discover a whole network that could rightly be labeled a ‘cultural underground’, or as it was called in Czech society of that time, not ‘underground’ or ‘counter culture’ like in “the West”, but ‘paralelní kultura’ (parallel culture), also sometimes named ‘zweiten Kultur’ (second culture) like in the DDR. Print room of the group around the Umwelt Bibliothek (Environmental Library)in the cellar of the Zionskirche in East Berlin October 1989, they had a duplicating machine from the church and here the magazine which was a strong rallying point for the young DDR opposition was produced. 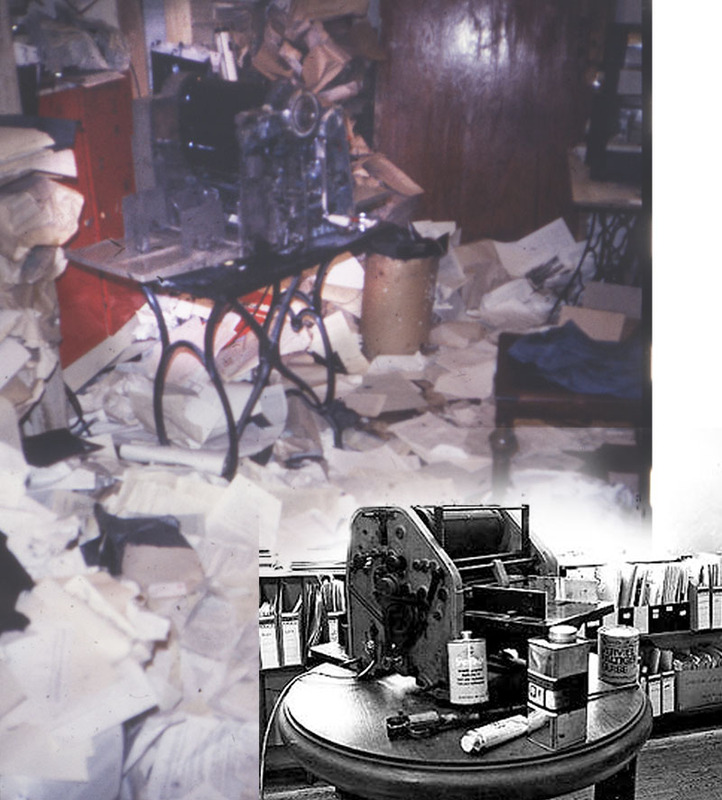 The print room was a total mess in those days right before the fall of the wall. Everybody who came in was asked to assemble their own copy of the magazine of which the pages were spread out over several chairs. There was always lots of fun with some of the obvious Stasi agents who had to join in with the assembling exercise. Self publishing or ‘samizdat’ was one of the main cultural activities, ranging from the most primitive carbon paper duplicated manuscripts hammered out of ancient typewriters in Czechoslovakia and the Soviet Union (with a maximum of ten hardly readable copies), to the silk screened leaflets of the Polish Solidarność trade union and the Hungarian groups like ‘Inconnu’ and Demokrater’…. Only at the end of the eighties in some towns (Prague, Budapest) people managed to get limited access to (state controlled) photocopying facilities; the underground cultural magazine “Revolver Revue” from Prague is an example of this. The duplicating machine (often called Roneo, or stencil-machine) which used to be the standard self-publishing machine in “the West”, was mostly an off-limit device in Eastern European countries, so the same stencil-principle was used in a more primitive way by pressing ink onto paper with a fill bar of rubber fitted in a wooden handle through a fine textile fabric stretched in a frame, onto which photographically, or by hand painting, texts and images were transferred (silk screening technique, often referred to as ‘Polish printing’). In the Soviet Union pop and rock music fans had their own inventive ways for self publishing by making a single copy lay-out of their magazine and photographing it, next making duplicates of the negatives and sending them around to friends and acquaintances all over the Soviet Union, where many had access to the facilities of local photo-clubs. So happily the negatives with the Russian music fanzines were printed over and over again, thus gaining a huge readership. 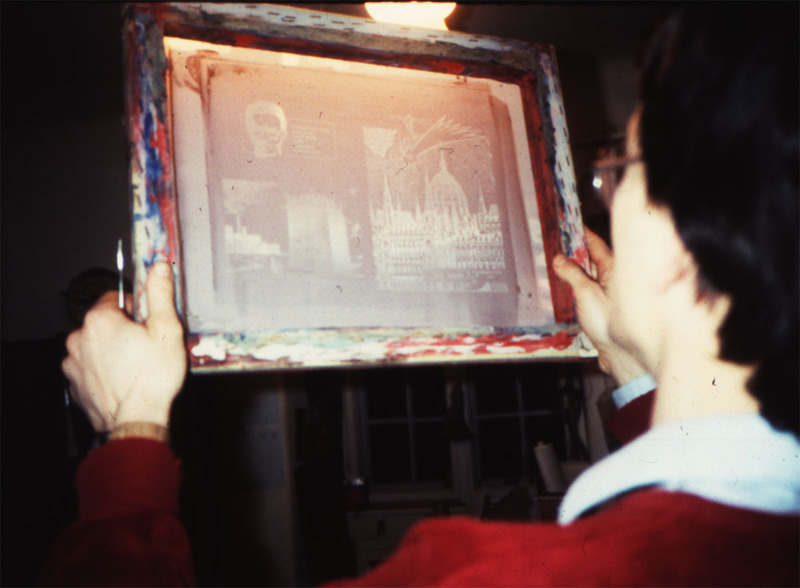 Budapest winter 1986, Jennö Nagy holds a silscren frame of the cover of his handprinted magazine 'Demokrater' in his suburbian house (that has been raided several times by the police confiscating even this primary tools). 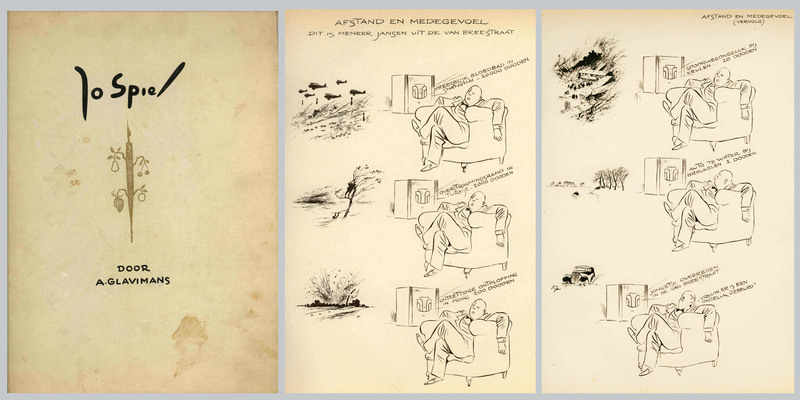 His printing set is now in the collection of the International Institute of Social History... I must have better pictures, but this is all what I could find for the moment. It shows nevertheless how such simple devices were seen as and could actually be 'a danger of the state'. The ‘unfree world’ in its great cultural palaces, museums, and concert halls “of the people” displayed only state sanctioned forms of culture (not totally unlike what happened at the other side of the divide), though, the whole intermediate structure of the “free world” with its venues for both radical groups and all shades of institutionalized initiatives did not exist in the state socialist countries of Eastern Europe. A singular top-down control mechanism had – over decades – smoldered all initiatives from below. Civic society with its dynamic social levels and relations, had mostly disappeared in Eastern Europe. Still there were exceptions to prove the rule, like the student and youth clubs where some independent forms of cultural expression could find an outlet and where the authorities would be tolerant for a while (a good example were the SKUC (Student Cultural Centers) in many towns of the former Yugoslavia). Independent and radical culture , the mirror image of the pompous ‘Palastkult’ of state socialism, had retreated into the personal domain, in small private city apartments or countryside dachas (*). The home became the basis for art forms and alternative practices like, apt-art (one evening exhibitions in someone’s apartment), flying universities (lecture series based on the personal hospitality of many people, constantly changing address), and temporary bookshops in someone’s apartment where during an hour or so samizdat literature could be bought. Performances and happenings would not only take place in the conclave of a home, but the congregation of non-conformists also would take to the woods and fields, one could say reminding of the centuries old tradition of the dissident christian religious practices in Eastern Europe, from Bohemian Moravians and Bosnian Bogomils to Russian “Old Believers” (Starovertsy). 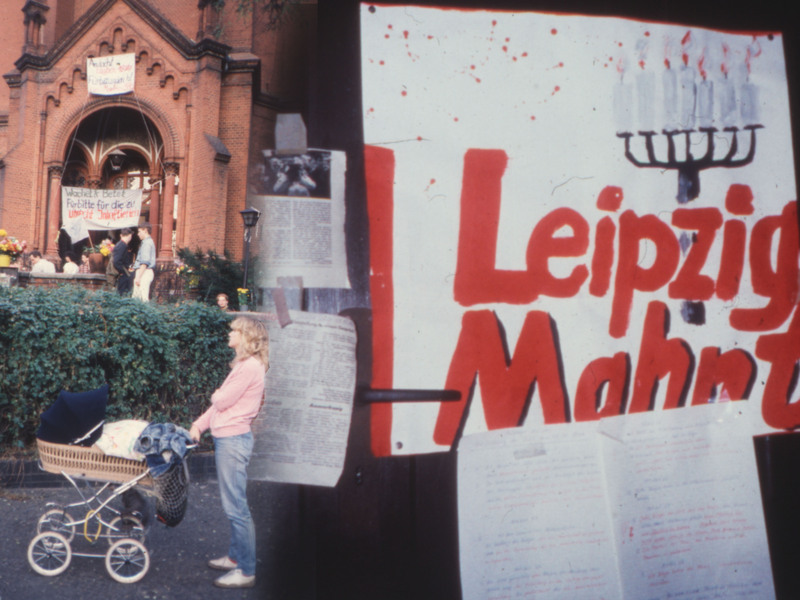 October 1989 East Berlin several evangelic churches functioning as action centers. Banners are calling for the support of those arrested, flowers have been brought into the church and on the steps outside; inside the rather darkish church space the walls are covered with newspaper cuttings put up with plaster as sellotape is something not readily available; a handwritten placard points to the example of the October 9 demonstration in Leipzig. What I remember the most was how primitive and endearing this first free communication wall was. What you see here is: freedom of expression at the stage of a foetus. Such outdoor performances could become real prolonged struggles with the authorities, as it was the case in Czechoslovakia with the absurdist band “Plastic People of the Universe“, a local rock group taking at first inspiration from foreign groups ranging from “the Velvet Underground” and “The Fugs” to Frank Zappa and his “Mothers of Invention”, later developing its own haunting musical style and critical lyrics. 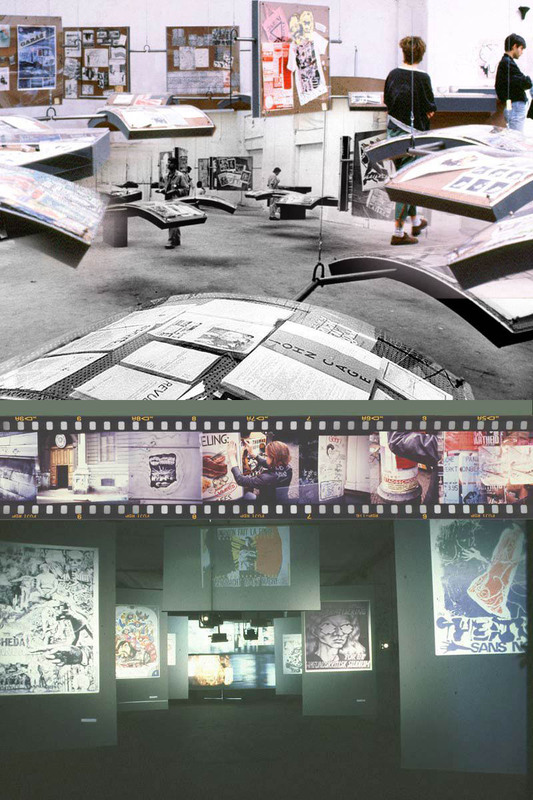 They followed the footsteps of the Fluxus art action related Czech group ‘Aktual’ from the mid sixties. Plastic People came up in the period of the Prague Spring in 1968 and the subsequent Warsaw Pact occupation. The band was soon banned from playing in Prague and together with a growing group of fans they developed a system of performances in the countryside, sometimes deep in the woods, only at the last moment information of the precise location would be spread, so people already congregated at a nearby train station or other spot and would be directed from there to the actual place of the concert. Of course the secret police would be on their heels, smell them out, which at times led to mass confrontations as during the “Ceske Budovice Massacre” in March 1974, when over a thousand fans were rounded up by police at Budovice train station, beaten up, and send back to Prague, with many names noted followed by later persecutive consequences at work and in school. A year or so later band members were arrested and their case and cause, of a socialist state against a rock band, became a rallying point of protest against the repressive system. This belonged to a series of repressive events, that led also to the foundation of the Charta 77 group and their manifesto claiming the rights of free expression. (Progarchives.com have a good 1981 recording of the Plastic People online). This form of combined creative protest of young people finding support from academics and intellectuals, differed from the more widely known moral and political dissidents of the Soviet Union, with writers like Pasternak, Solzhenitsyn, Sinyavsky and Aksyonov who were made into official heroes in the West and -except for Pasternak – were forced to emigrate. More names of dissident Russian writers could be mentioned here, like (Aleksandr) Zinoviev, but the last one is a category on his own, who, when he would not have died in 1999, could well have developed into ‘a dissident author’ once more, but now in the West, as he opposed the Perestroyka of the Gorbachev area and gave interviews at the end of his life idealizing Stalin, Milošević, Karadzic, and Mladić. I know there is much more to say about the change of position and meaning of Cold War dissidents after the “Die Wende” when the so called fall of state-communist societies failed to translated in the erasure of all traits of totalitarianism. Personal visits over the years – from 1976 onward- to Hungary, Poland, DDR, Yugoslavia and Rumania had made me aware of the specific forms of political and cultural underground movements in these countries and the supportive role played by Radio Free Europe. The underlying reason for the Radio Free Europe (RFE) support of this alternative culture was clearly geo-political based: support for the USA “free world” empire quest. I remember Hungarian friends of mine complaining in the mid eighties about some of the RFE journalists and their lack of real interest in the content of their artistic endeavour. RFE journalists were mostly concentrating on the censorship side of things, only interested when a certain form of expression was suppressed and the bad genius of communism could be proven once again (also in the “free world” certain expressions only gain media coverage when some sort of scandal is at stake). Like Eastern Europe itself the big well protected offices of Radio Free Europe – located in a spacious villa suburb of München – did not have a uniform approach, but were internally balkanized. This was expressed in the total different atmospheres of each national department having its own personal commitments, set of priorities, traditions, smell of food. 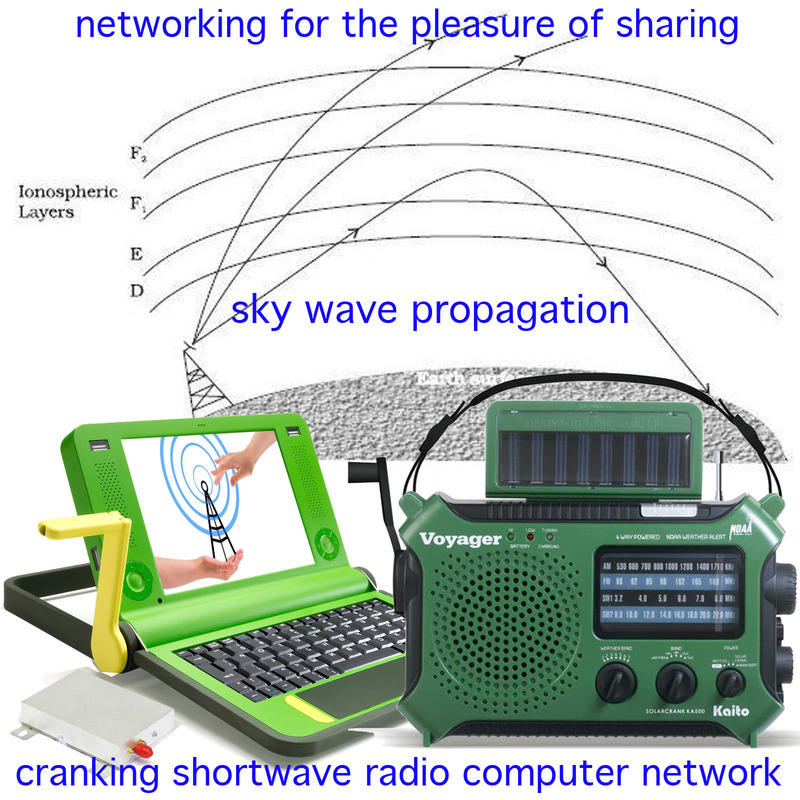 As a curator and librarian of the University of Amsterdam I could gain access to the vast documentation facilities of the radio station and I still remember vividly the long corridors and many doors flipping open and closing with hasty journalist on their way and shreds of a multitude of languages coming to my ears. The Russian department had their thumbed card file drawers pointing to many individual cases documenting post-gulag forms of repression, the Polish offices had newly bought file drawers housing an wide range of samples from the the very active Polish samizdat press, the Hungarians were very much into the underground magazine culture with both exile publications from Paris like Magyar Füztek in a handy small smuggle format, and locally produced primitively printed magazines like Demokrater and Beszelo. The Rumanina section had hardly any documents, so reflecting the effectiveness of Ceauşescu Securitate and it was only later, in 1985, that – in Budapest – I saw and copied issues of a Transsylvanian (Erdely) samizdat magazine ‘Ellenpontok” (counterpoint) published in Cluj-Napoca (Klausenburg, Koloszva) which was – according to some later sources – the only Rumanian samizdat magazine. Which brings me to the year 1985, it must have been fall, when a contact from Belgrade Pavlusko Imsirovic (implied in a political process of the post-Tito era with six activists (known as ‘The Belgrade Six‘) persecuted in the serbian part of the Yugoslav Federation for holding meetings and publishing critical texts) gave me the address of a Rumanian man living in exile in Budapest: Attila Ara-Kovácz (he was one of the publishers of that sole Rumanian samizdat paper). Arriving in Budapest and meeting Attila brought me straight into a just started counter-conference of the “European Cultural Forum” (also called The Budapest Cultural Forum) a follow up – after a decade! – of the 1975 Conference on Security and Cooperation in Europe (CSCE) known for its Helsinki Accords that were a protocol for fixing the entente of the power blocks in Europe. This ‘Alternative Cultural Forum’ was an initiative of the then nascent Hungarian opposition, the ‘International Helsinki Federation for Human Rights’ and some Western intellectuals of which Susan Sontag and Magnus Enzensberger were the most high profile ones. I went to several meetings ranging from the lobby of the sumptuous Intercontinental Hotel to some huge sculptor studio on the hill of Buda where a party for the corps diplomatique of the official conference was organized by the Hungarian opposition with as special subject the protest and repression in Rumanian Transylvania against Ceauşescu’s plan to bulldozer eight thousand traditional villages and deport their inhabitants to newly constructed agro-industrial complexes. The official Forum had set as its task to foster cultural exchanges and cooperation which then could “contribute to a better comprehension among people and among peoples, and thus promote a lasting understanding among states.” The Alternative Forum with Budapest full of diplomats gave some sort of protection to the the opposition which had been more or less hidden till that time to come out into the open and manifest itself. Anyhow the regime of János Kádár – in power since 1956 – showed serious signs of fatigue and – much less spectacular than the Fall of the Berlin Wall – in 1985 the state-communist regime was in the process of dissolving. The regime was still there, but it was only ‘pro forma’. It is not surprising that the real first opening of the iron Curtain did not happen in East Germany but in Hungary, starting formally in April 1989, but already since the the fall of the governance of Kádár in the spring of 1988 the Hungarian borders – and not only the ones with the West – had become somehow ‘transparent’. This was due to the bad treatment of the Hungarian minority in Rumania and old Hungarain sentiments on the dismemberment of their once glorious shared Austrian-Habsburg double monarchy. I knew at that time a polyglot adventurous lady (a descendant from a Ruthenian/Rusyn family) who was illegally crossing Hungarian-Rumanian borders taking with her publications printed in the West. The dismantling of the Hungarian part of the Iron Curtain happened a few months before what is called the ‘Prague Embassy Crisis” in September 1989 when East Germans were flooding the compound of the West German embassy in Prague. 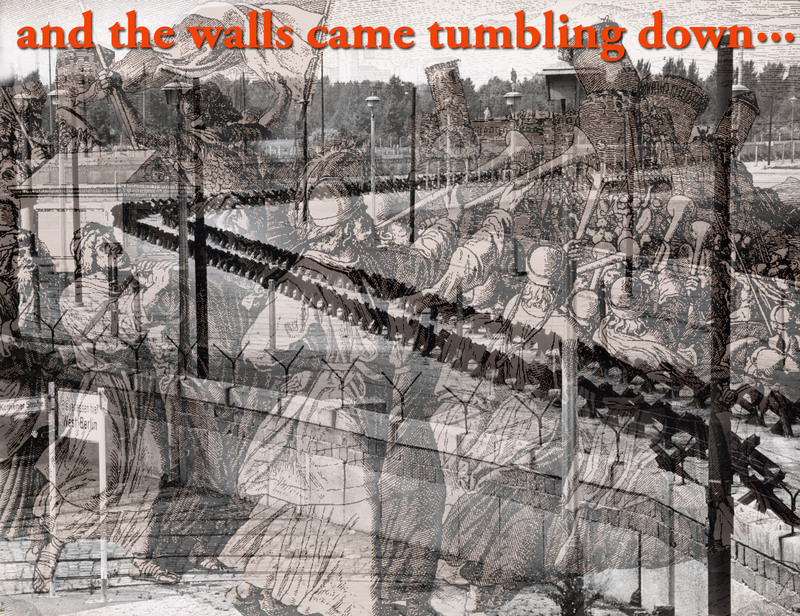 All this is mostly lost in the actual mainstream commemoration of the Fall of the Berlin Wall anno 2009. 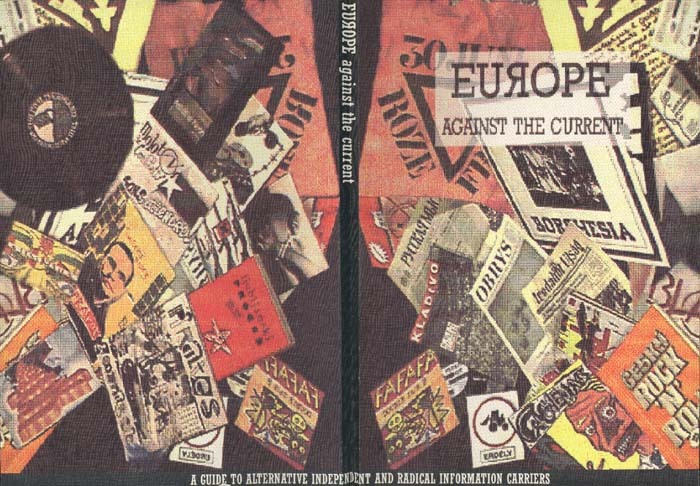 Cover of the February 1989 “Europe Against The Current Manifesto” Go to and outward link with the full manifesto by clicking the picture above. It was this ‘Alternative Cultural Forum’ in 1985 in Budapest that inspired the idea of organizing a real the whole of Europe meeting of practitioners of alternative culture in Amsterdam. Since 1977 we had started with a few friends an alternative international bookshop in the Jodenbreestraat in Amsterdam, ‘Het Fort van Sjakoo‘. That collective undertaking had been growing over the years into a solid volunteer organization (it still exists still in 2009 as a fully volunteer driven organization). We decided to breach the political and cultural borders and make a call to the whole continent from Iceland to the Urals, from the sub-polar regions of the Scandinavian countries to the sub-tropical Mediterranean Sea. This meant making an inventory of persons, groups, initiatives, institutions to invite. 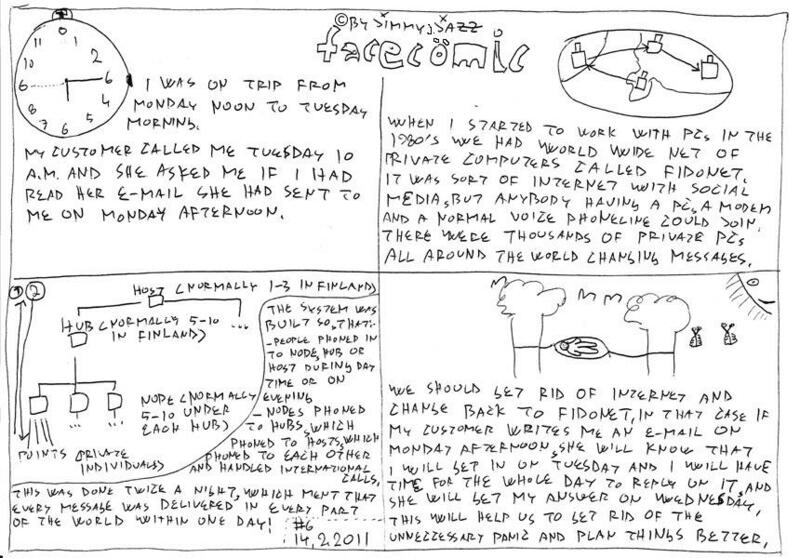 This was a huge work at that time when the Internet as such did not exist yet (apart from Usenet and Fidonet facilities, which we did use). Somehow we managed and though the date set at first for the year 1988 could not be met, in September 1989 it really did happen. On this occasion of a twenty year anniversary I have republished the original manifesto, the call for a coming together we named: “Europe Against The Current” (the archive is at the IISG). Hundreds of people from many countries both from the East and West did participate, the manifestation was scheduled to be opened by Václav Havel, then still a writer under house-arrest. He failed to get the permission to leave Czechoslavakia for this occasion, his travel permit was withheld, so we established a telephone connection and thus the upcoming first post-communist president of the Czech Republic spoke the opening words of our manifestation. The opening was broadcasted – fully in style – over telephone lines and connected radio stations, both legal and pirate ones. 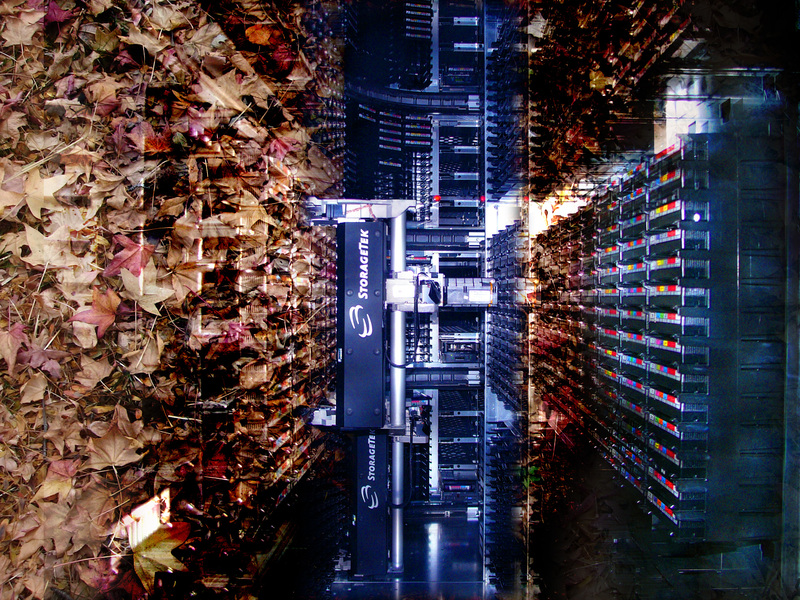 Back + front side of the catalogue with one thousand addresses and descriptions of alternative and radical cultural initiatives in Europe, a databased directory that has been for a few decades a guide to alternative Europe. 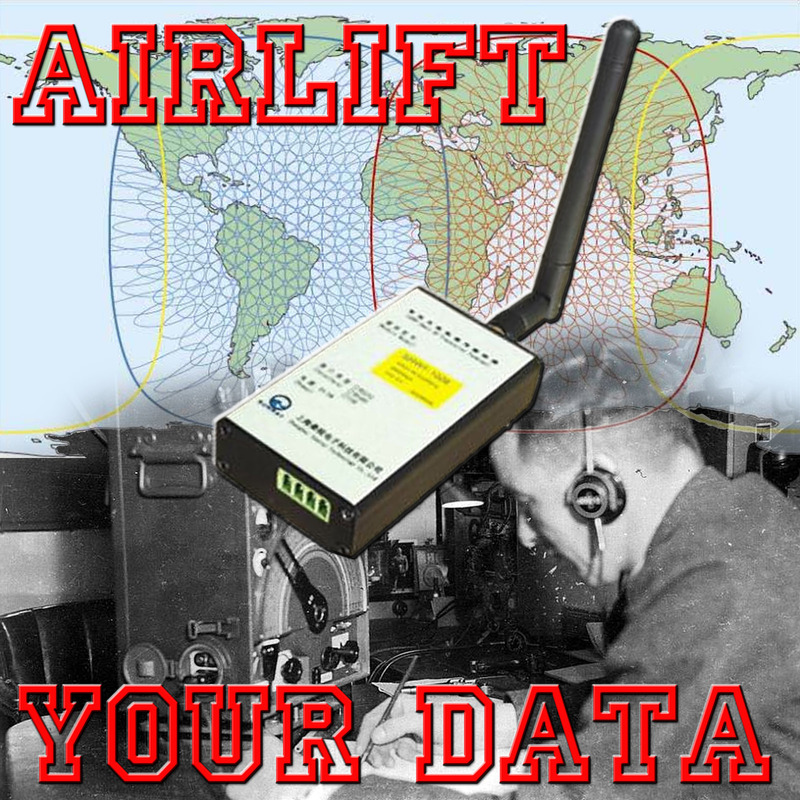 See (***) for link. Early 1990 I did write a background article on the origin and development of this historic manifestation taking place in the Beurs van Berlage in Amsterdam and the adjacent gallery W139 at that time still a squatted cultural institution. It has been published in the Dutch cultural journal ‘de Gids’ and the complete text translated to English is since many years online on my web site and may be enlightening to read again, now twenty years later. Commemorate the past with insights from the past. Overview of the Europe Against The Current fair in the Amsterdam Beurs van Berlage, September 1989. To read the full background article click the picture. A more formal description of the exhibitions that formed a part of the manifestations can be found on my documentation web pages ‘Art ~ Action ~ Academia‘ and an overview of some of the one thousand posters on show in a special installation in W139 Gallery can be found on another web page on an 1968 and beyond poster exhibition in the London Print Studio (formerly Paddington printshop) last year for which I made a huge poster of posters based on the photographic slides used in the September 1989 exhibition in Amsterdam. The alternative and radical information carrier show in W139 September 1989. (*) Dacha: small country houses outside the main cities in Russia, at first allotted only to party and trade union cadre, from the fifities onward available to broader layers of the population; also very popular in Czechoslovakia. Ryback, Timothy W. 1990. 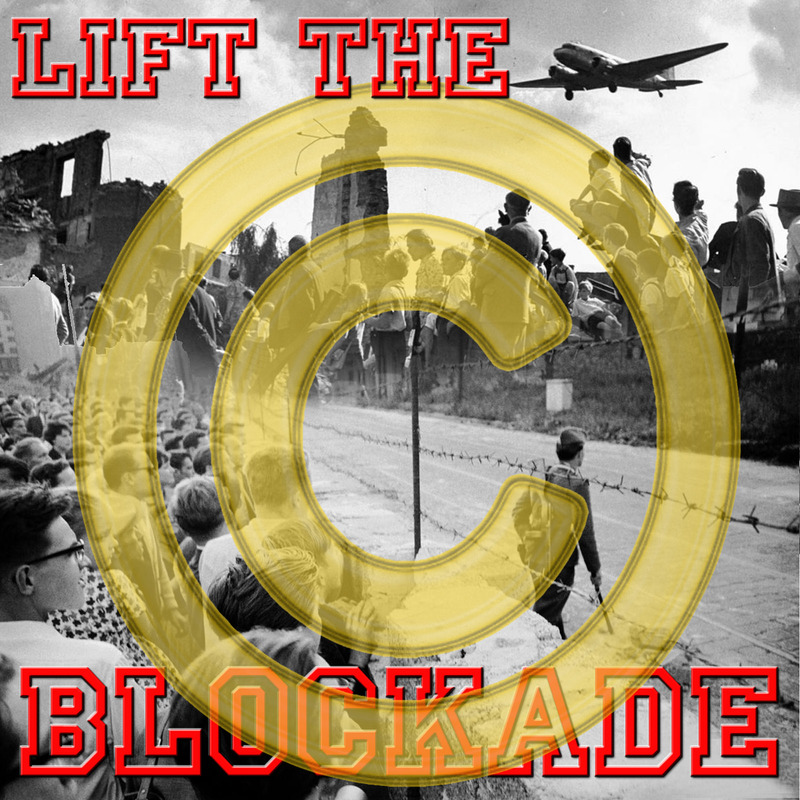 Rock around the bloc: a history of rock music in Eastern Europe and the Soviet Union. New York: Oxford University Press. Caute, David. 2003. The dancer defects: the struggle for cultural supremacy during the Cold War. Oxford: Oxford University Press. Kušnir, Aleksandr I. 1994. 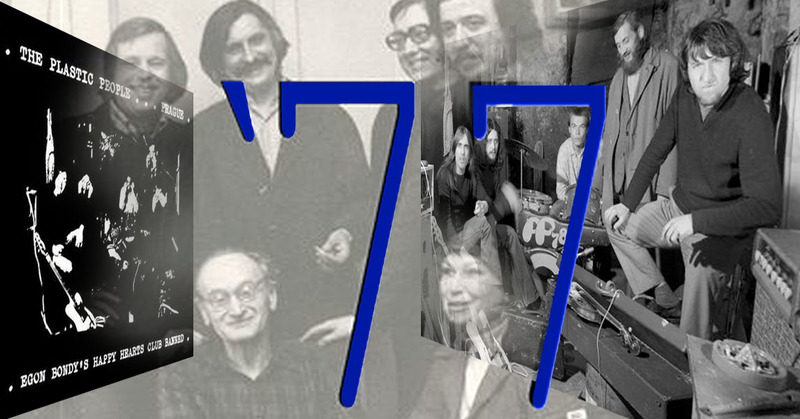 Zolotoe podpol’e: polnaja illjustrirovannaja ėnciklopedija rok-samizdata : 1967 – 1994 ; istorija, antologija, bibliografija. Nižnij Novgorod: Izdat. Dekom. Tijen, Tjebbe van, and Bas Moreel. 1989. 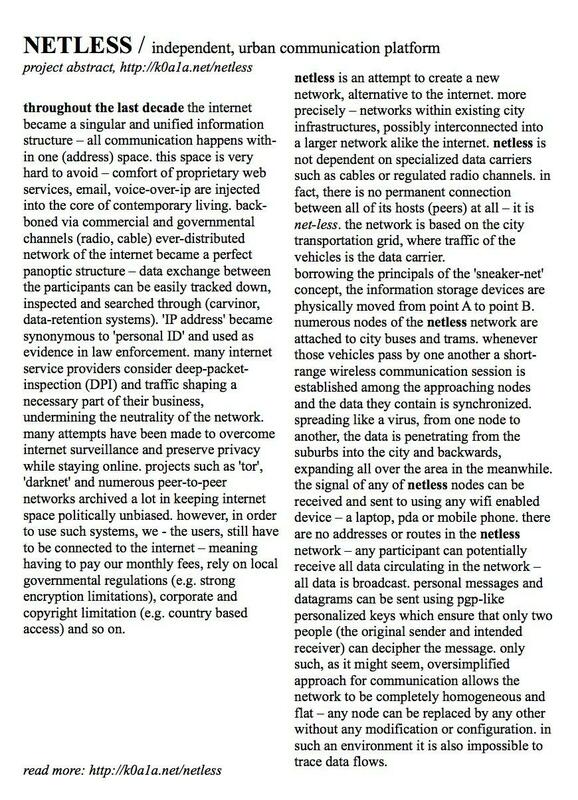 Europe against the current: catalogue on alternative, independent and radical information carriers. Amsterdam: Foundation Europe Against the Current, ID Archiv im IISG/Amsterdam.